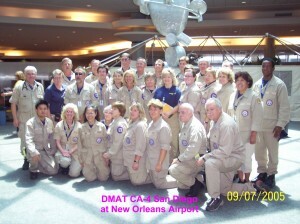 On 12.11.08, I set out on a cross-country journey to interview in person FEMA medical and US&R responders teams in cities such as San Diego, San Francisco, Seattle and Memphis, as well as Helinet Aviation in Van Nuys, the Katrina pool helicopter crew during the first week. 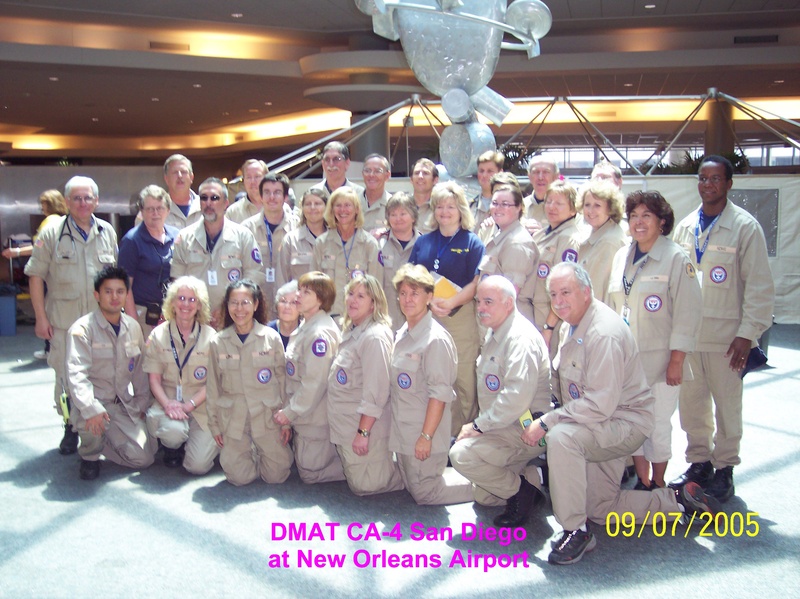 During the visit to DMAT CA-4 (Disaster Medical Asst Team) Operations Center in San Diego, I was greeted by about fifteen team members who were happy to hear that someone was taking the time to tell the story from the from the responders’ points of view. This was the beginning of our transition to documenting the federal response to Katrina. We gained cooperation from the USFWS, USMS, CBP, USACE and more FEMA responder units. Also, the FAA Mgr Dave Haddad explained what life was like above and below MSY’s ATC Tower. With the support of the federal government came detailed accounts via after-action reports, Power Point presentations, photos, videos, charts, maps and reports. It helped us complete our mission to thoroughly document the first two weeks of Katrina in a very detailed chronological format. This support has also allowed us to map the flow of responders into SE Louisiana.